I would like to reply to C Byrne’s letter with the heading “There is no transparency”. I would like to confirm with them that the Bexhill Town Team do not have meetings anymore – the last one I attended was a few years ago, and the Portas money they gave us is still sitting with Rother – that’s £10K and it was for help to the town centre. But The Town Team have now gone and merged with The Lions club and The DLWP and formed Coastal Communities Alliance, but most of the shop owners who where once part of Town Team are no longer a part of the new group. The monies are no longer for the town but more to sort out the seafront which doesn’t help the traders in the town centre, and it does not help them promoting businesses. 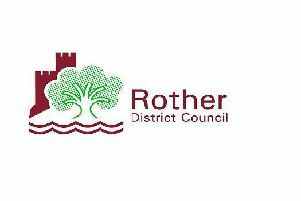 It seems like Rother is doing everything it can to help the DLWP by having events on the lawns so the “footfall” is looking great for the DLWP when in fact they’re popping in and using the toilet facilities, then back out to the event on the lawns. It was a shock to hear that people were not allowed out when a show was on and had to get fresh air in the “Smoker’s Cage” area. What has happened to “The People’s Pavilion”? Also we don’t have a say on where our Council Tax goes either, and £50k has been given to the DLWP for the last five years which should be near the end of that agreement. So will we be asked when it’s time to give the DLWP another five years of £50k? Probably not, and just think what £50k could do if it was spent on the town. I love this town and the shops around Bexhill are amazing – they’re friendly and welcoming but all Rother does is take their rates and do nothing for them. Time for Bexhill to have its voice heard.